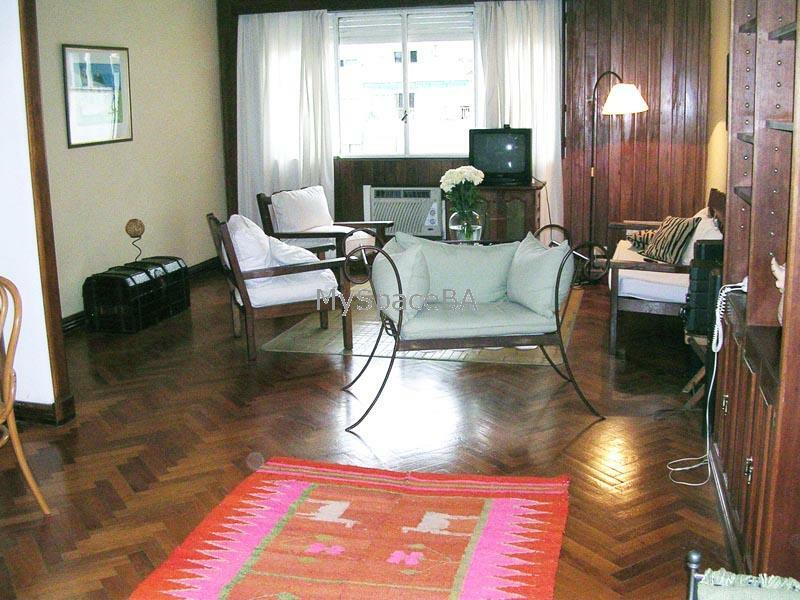 This two bedroom apartment is situated in the highly popular Recoleta next to the shoppers paradise the Santa Fe Avenue. The apartment has wooden floors thoughout. The principle bedroom has a double bed while the second bedroom has twin single beds. The living room is comfortable with a sofa and arm chairs and has a table and four chairs. Good building, two elevators . Subway, bus stops, cinema, restaurants and bars, cyber coffees, laundrys, commercial area, book stores, parking places.